To help poverty stricken families and communities transform their own lives with our skills training, education, health and nutrition programmes. We run holistic programmes for the whole family in livelihood, education, health and nutrition. We want our beneficiaries to earn a sustainable living to support their families. We enable parents to perfect new skills through a variety of programmes for both men and women whilst supporting their children in education. 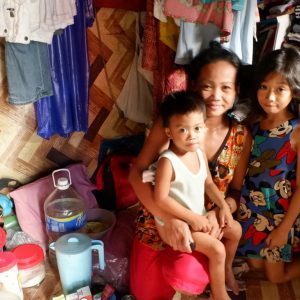 We work with poverty-stricken families and communities primarily in the Philippines, with smaller projects in Tanzania. Introducing the dedicated members of Team Purple.